This is a movie that I have been looking forward to for a very long time. Ever since I saw the first poster, I've been excited about it. The excitement only grew as I saw new trailers and read what others had to say about it. To say that the movie lived up to my expectations is an extreme understatement. It completely blew my expectations out of the water. Everything about the movie was excellent. The animation was so flawless that I often found myself wondering whether we were watching real life landscapes. The only cartoon-ish aspect were the humans, but I think that was intentional. There were even lots of shaky, quick-zoom shots that gave certain scenes the look of being filmed with a handheld camera...and yet they were all animated. Mad props! The storyline, as you've probably deduced from the trailers, is of Earth several hundred years into the future and after humans abandoned the planet leaving robots to clean the place up. WALL-E is the only robot still functioning and he's developed a personality. He meets EVE and they have an incredible adventure both on Earth and in space. 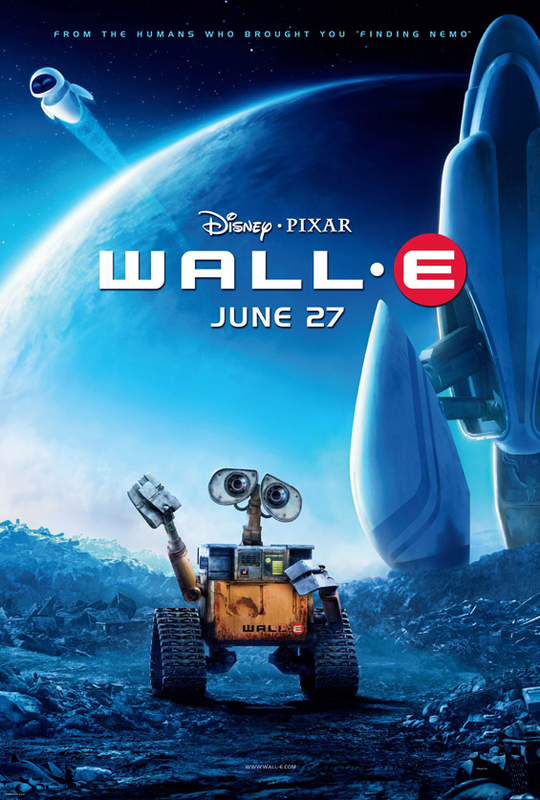 WALL-E is one of those movies that genuinely appeals to everyone. I honestly don't think there's a single demographic who won't enjoy it, from little kids to adults. The well known tech blog Gizmodo called WALL-E, "one of the best sci-fi movies in years, disguised as a cartoon" and I couldn't agree more. With homages to classic science fiction like 2001: A Space Odessey and Star Wars, it appeals to science fiction fans without being a nerdy film. Pixar has truly outdone themselves this time. I think WALL-E will be remembered as one of the best animated movies of all time. I have no problem giving it a 6 out of 5 stars and recommending it to everyone I know.